‘Open in terminal’ is a nautilus plugin that adds an option into right-click context menu allow launching terminal and automatically navigate to current location. The plugin nautilus-open-terminal is available in Ubuntu default repository. 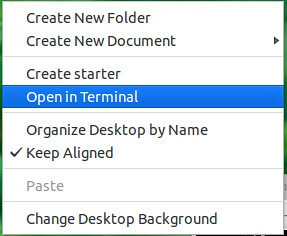 3 comments to ''Add "Open in Terminal" in right click Menu Ubuntu/Mint"
I think it does't work for ubuntu 13.04.